Philippines is a country that is blessed with a mix of culture and tradition. Apart from its great options of sandy white beaches, Philippines also offers tons of beautiful places with historic sites that have made travellers from around the world fall in love and come back for another dose of happiness on their trip. In the recent years, these sites have been the most popular places for backpackers for their budget travel plans in Philippines. In this article you will find a list of breathtakingly beautiful places that are not just popular among the locals but have been enchanting tourists with their unique charm. Let’s check out 5 best destinations in the Philippines that are popular with their heritage sites. 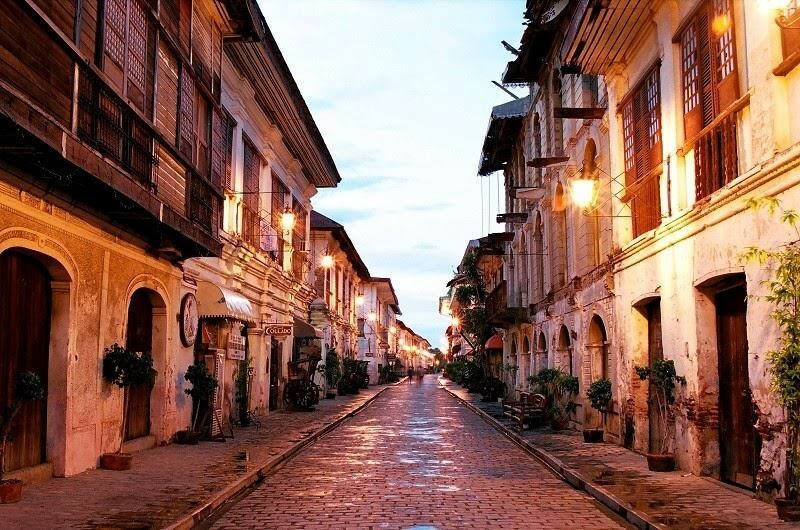 The first must-visit heritage site in the Philippines is Calle Crisologo. Located in Vigan, Philippines you will definitely get attracted to this place right away, especially if you are really into history and architecture. This town bears the reminder of the Spanish Colonial Era and you can just see it in every corner in this charming town. Roam around the town and test your inner nerd while you take some bite on the locally-famous Vigan empanada. Where to stay in Vigan? You can find deals on hotels on Agoda. Located in Bohol, Chocolate Hills is famous for the legend and secret stories that lie in the area of over 50 KM. A home to a wonderful sight, you can find thousands of hills with shapes of mounds of chocolate. It was once told the shape of the hills was created when two giants clashed in an epic feud where they hurled rocks, sand and boulders at each other – hence how it got its name. The interesting part about these hills is they will turn milk chocolate brown in colour during the dry season which makes it Instagram worthy!Where to stay in Chocolate Hills? You can find deals for hotels around Chocolate Hills on Agoda! A home to the past, this place showcases stunning local artistry and craftsmanship through its collection of heritage houses from around the country. Some of these architectural pieces dated back to the 18th century, transported from different towns or cities in the Philippines and restored in the Heritage Resort in Bagac, Bataan. Mr Acuzar, the man behind it, had a vision where he wanted his collection of property and historic houses to be made a private resort. He opened it for everyone to be able to discover the history of the country’s past tradition. Declared as part of the UNESCO World Heritage Site of Baroque Churches back in 1993, many deemed this heritage site as a romantic venue to get married or proposed in. This church echoes a mix of Gothic, Baroque and Oriental designs. 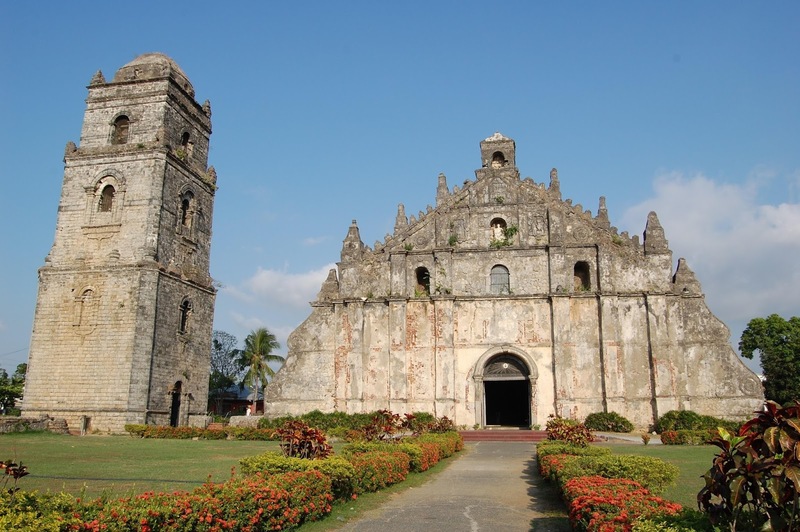 Also known as the San Agustin Church, it stands as one of the very few remaining Baroque churches in the Philippines. Built to withstand earthquakes, the Augustinian friars wanted it to adapt with the country’s natural order. A popular and perfect backdrop, this church remains the ultimate choice for local and international movies to shoot in. You can book a flight at Philippine Airlines as it flies between Manila and Laoag, which is the gateway to Paoay, Ilocos Norte. This grand mansion is a symbol of love, just like the famous Taj Mahal in India. 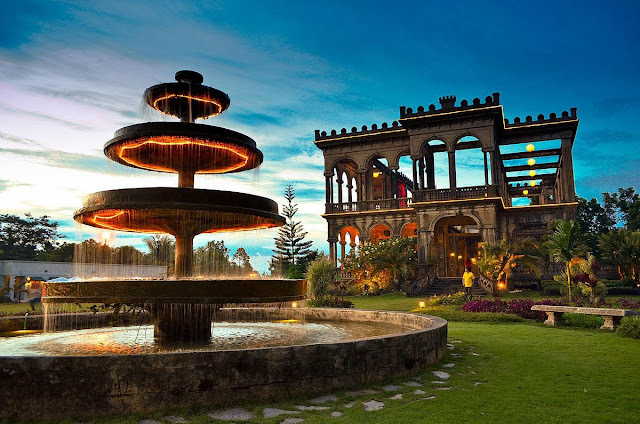 Located in Talisay in Negros Occidental, perfect for all the helpless romantic lovers out there. 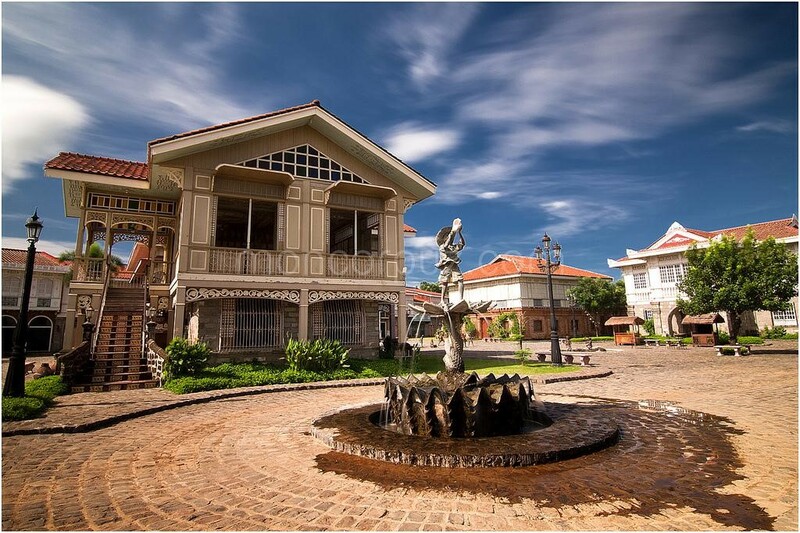 Built by Don Mariano Lacson, the remaining of this mansion is an endearing symbol of his love for his wife, Maria Braga, following her death. He built it in memory of Maria which became his residence, together with his kids. Now it has been made as a tourist attraction where the structures of the ruins create a dramatic romantic feelings with interesting tales lie within the walls.